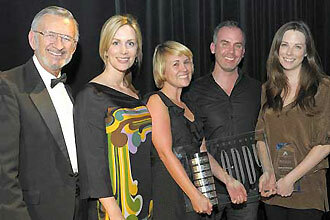 2010 ADDY Awards: What a Great Party! 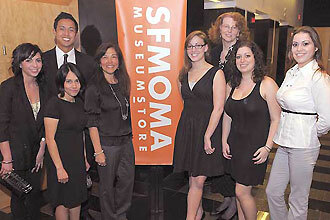 The 2010 ADDY Awards Show & Gala, presented by Greater San Francisco Ad Club, was held at the San Francisco Muesum of Modern Art on March 3, 2010. 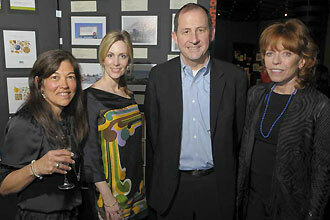 It was hosted by Heather Holmes, KTVU news anchor. Click here for a complete list of winners. 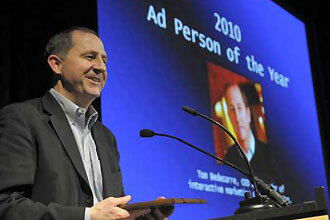 Tom Bedecarre, CEO, AKQA accepts Ad Person of the Year recognition from Greater San Francisco Ad Club. Kathy Mitchell, GSFAC President, Heather Holmes, KTVU News Anchor and Millie Olson, CEO Amazon Advertising with GSFAC Ad Person of the Year Tom Bedecarre, CEO AKQA. John Hopper, GSFAC VP & ADDY Coordinator with Heather Holmes, KTVU and ADDY Awards Mistress of Ceremonies joins Venables Bell & Partners "Best of Show" creative team. Kathy Mitchell, President & Diane Rames, GSFAC Board Member & Student Liaison with great team of Student Volunteers.